Charles Darwin proposed group selection to explain how “altruistic” behaviors toward others and self-sacrifice for the group, which could easily be taken to be counterexamples to his theory of evolution, might instead be examples of its explanatory power. He observed that, all else being equal, groups that were more cooperative would out compete less cooperative groups. Selection for more cooperative groups selects for biology that better motivates cooperative behavior (Darwin, 1871) and, though Darwin did not mention it, cultural norms that do the same. Thus, we arrive at the simple and appealing notion that people’s experience of compassion and loyalty and cultural norms such as “Do to others as you would have them do to you” (or variations with the same function in increasing cooperation) are arguably near inevitable products of blind evolution of beings with sufficiently complex brains. And no supernatural power is required to explain human, or any other species’, “goodness”. Mark Borrello (2005) described group theory’s subsequent rise and then fall from respectability in the 1960’s (mainly due to a theoretical objection and some bad science from a chief advocate) and its rise again, starting in the 1980’s and now called multilevel selection, which is how I will refer to it here where appropriate. Steven Pinker and twenty three other respected evolutionists provided an accessible snapshot (Pinker 2012) of the lively state of the unresolved debate on group selection’s proper role in evolutionary science. The diversity of pro and con opinions expressed makes it appear the debate about group selection is not close to over. However, Pinker’s focus on “altruistic” and “self-sacrifice for the group” behaviors as “what-must-be-explained” was a poor choice for resolving the relative explanatory power of multilevel (includes group level) and gene level selection perspectives. The goal of this essay is to suggest better choices for what-must-be-explained, make other suggestions to improve the productivity of future group selection debates, and then to provide an example of how future discussions might change. That example will compare the explanatory power of multilevel selection and Pinker’s preferred perspective, gene level selection. 1) Multilevel selection’s explanatory power for biology will be evaluated separately from culture, requiring what-must-be-explained be chosen such that only biology is needed to explain it. 2) Multilevel, individual level, and the gene level selection are different views of (or bookkeeping systems for) the same phenomena. In theory, they might all have the same explanatory power. 3) To be a useful part of an evolutionist’s toolkit, multilevel selection’s perspective must show better explanatory power in practice, meaning ability to more readily produce correct explanations of biology. 4) A hypotheses’ “in practice” explanatory power may be inferior to its “in theory” explanatory power. 5) Multilevel selection’s “in practice” explanatory power will ideally be evaluated for multiple phenomena (or multiple bits of biology), not just one. Requiring explanation of multiple phenomena increases discriminatory power between alternate hypotheses. I expect these stipulations would be acceptable to many in the field. If they are not acceptable, perhaps discussions could clarify what will be stipulated and any dissenting opinions. Candidates for what-must-be-explained include 1) the evolution of cancers with their intrinsic complexities of simultaneous cooperation and competition at the cancer’s gene, cell, and cell strain levels in the hostile environment of the patient’s immune system (Merlo 2006), 2) psychology, group behavior, and cognition (Wilson 2008), and 3) the merger of individuals – such as cells – into higher level individuals such as plants and animals (Maynard-Smith 1995). 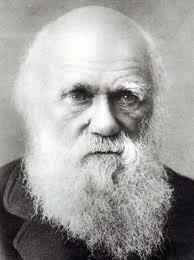 But as mentioned above, the following example describes how the character of group selection discussions could change if we follow Charles Darwin’s lead and choose our moral sense for what-must-be-explained, specifically “when” our moral sense is triggered and “how” it motivates us to action, including acting unselfishly. To clarify the argument, I will stipulate ‘obvious’ explanations from multilevel and gene level perspectives as follows. The obvious selection forces from the perspective of “selfish genes” (and Pinker’s position) is kin altruism plus self-interest motivated reciprocity. As Herbert Gintis describes this gene selection perspective, “Pinker is simply reiterating Dawkins’ message of a half-century ago that we are the selfish product of selfish genes.” (Pinker 2012). Multilevel selection perspective’s ‘obvious’ selection forces are the fitness benefits of cooperation in groups (plus secondary effects due to kin altruism). That is, our moral sense motivates elements of cooperation strategies, which can be within group, such as indirect reciprocity, and between groups such as xenophobia and loyalty to one’s in-group. A surprising amount is known about when our moral sense is triggered and how it motivates action. Moral Foundations Theory (Graham 2012) shows that, cross culturally, there are at least five categories of circumstances that can trigger our moral sense to make a judgment. Those categories are fairness/cheating, care/harm, loyalty/betrayal, authority/subversion, and sanctity/degradation. Kin altruism plus self-interested reciprocity can explain the fairness/cheating and care/harm triggers. But loyalty is often in reference to a group, authority refers to a group’s authority, and sanctity refers to what is sacred to a group. These categories are about threats to our group’s cohesion and cooperation relative to other groups, not direct threats to our kin or our self-interested reciprocity. Kin altruism and self-interested reciprocity appear to have little to no explanatory power for cooperation strategies which rely on between group conflicts. Then, what is kin altruism and self-interested reciprocity’s explanatory power for ‘how’ our moral sense motivates ‘moral’ behaviors? The emotions triggered by our moral sense, our moral emotions (Haidt 2002), are here taken to be compassion, loyalty, gratitude, anger, disgust, contempt, shame, guilt, and ‘elevation’ (a synthesis of satisfaction and pride). Compassion, loyalty, gratitude, and anger are readily explained by kin altruism and self-interested reciprocity, provided this kind of loyalty advances one’s self-interested reciprocity. Loyalty to one’s nation, however, is not explained by Pinker’s hypothesis. (Pinker says such loyalty must be due to social coercion and self-interested concern for reputation, an ad hoc explanation.) However, kin altruism and self-interested reciprocity appear to have little to nothing to do with disgust, contempt, shame, guilt, and ‘elevation’. If the selection force for our moral emotions was just self-interested reciprocity (plus kin altruism), then the direct rewards of that reciprocity are all that is needed to motivate that reciprocity. Disgust, contempt, shame, guilt, and ‘elevation’ would not only be superfluous, but show that moral behavior is not motivated by the direct rewards of self-interested reciprocity but by emotions which can easily motivate behaviors that are not in our best interest and even result in our death. It might be argued that self-interested reciprocity only has to be “self-interested” on average, and we should expect it to sometimes motivate behaviors that are not in our best interest and even result in our death. But this is not Pinker’s understanding of self-interested reciprocity. Pinker explains unselfish behaviors that are not in our long term best interest and may even result in our death as due to kin altruism (with ineffective kin detection), social coercion, and self-interested concern for reputation (again an ad hoc explanation). Kin altruism and self-interested reciprocity as Pinker understands it appear to have little to no explanatory power for motivation for behaviors that are not in our best interest and even result in our death. They also appear to have little to no explanatory power (as mentioned above) for five of our moral emotions disgust, contempt, shame, guilt, and ‘elevation’ which appear superfluous to Pinker’s understanding of self-interested reciprocity. From the group selection perspective, the ‘obvious’ hypothesis is that our moral sense’s primary selection force was the benefits of cooperation in groups. This hypothesis elegantly explains all the categories of circumstances when our moral sense is triggered, as well as all our moral emotions. The categories of circumstances when our moral sense is triggered are those that threaten either purely in-group cooperation or risk defeat, due to reduced internal cooperation, in competition with other groups. Our moral emotions all motivate behaviors that are elements of known cooperation strategies. Compassion, loyalty, and gratitude motivate unselfish behaviors that initiate or maintain cooperation. Anger, disgust, and contempt punish other people’s (and sometimes our own) bad behavior. Shame and guilt punish only our own bad behavior. ‘Elevation’ rewards cooperation of all kinds whether other benefits are obtained or not. Summarizing, 1) the ‘obvious’ selection forces from the gene level selection perspective, kin altruism and self-interested reciprocity, have poor to no explanatory power for most categories of circumstances when our moral sense is triggered and for most of our moral emotions and 2) the ‘obvious’ primary selection force from the group selection perspective, the benefits of cooperation based on reciprocity, has wonderfully complete explanatory power for all of the ‘whens’ and ‘hows’ of our moral sense. Based on its markedly superior explanatory power of the group selection perspective’s ‘obvious’ hypothesis, the group level perspective is, in practice, much superior to the gene level selection perspective for understanding the biology underlying our moral sense. Borrello, Mark E., (2005). The rise, fall and resurrection of group selection. Maynard Smith, J., & Szathmary, E. (1995). The major transitions of life. New York: W.H. Freeman. Merlo, Lauren M.F., Pepper, John W., et al. (2006). Cancer as an evolutionary and ecological process.